I forced myself outside to take a walk in the windy cold yesterday and I was rewarded with a cedar waxwing sighting. Look at that smooth sleek masked and crested beauty. There were two of them sitting in a tree that was covered with dry berries, which is what they eat in winter along with cedar berries from which they get part of their name. 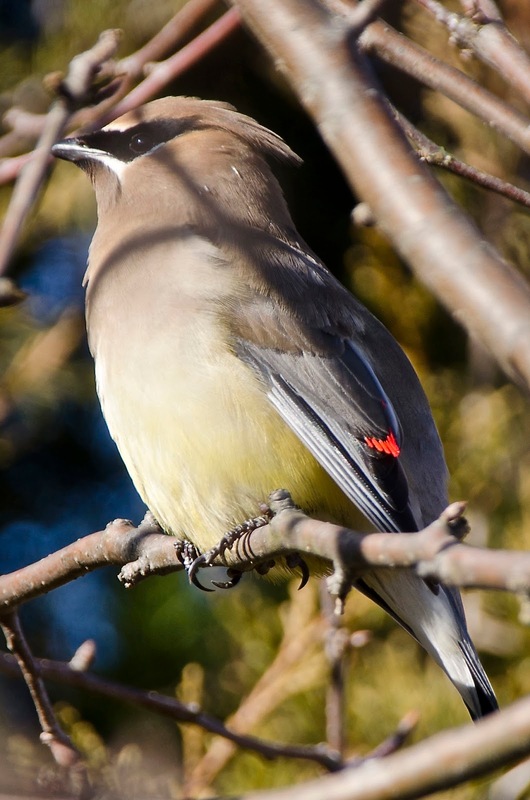 The waxwing part of their name comes from their bright red wingtips. 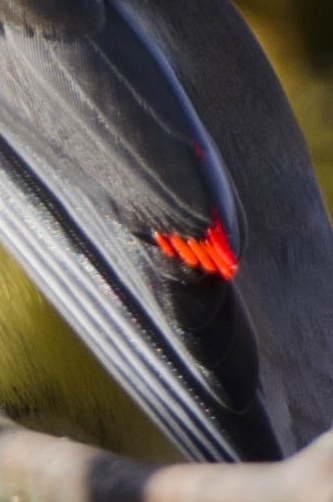 The red parts actually are wax, a bright red waxy secretion thought to play a role in mate attraction. Click to enlarge. I'm attracted. 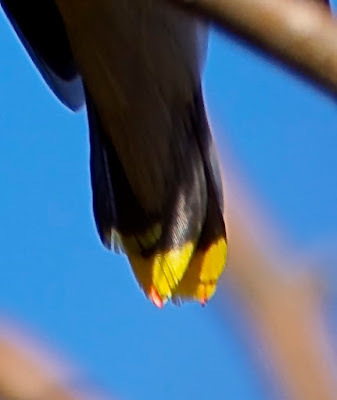 Their yellow tail tips are lovely, too. The sighting reminded me of this poem, WAXWINGS, by Robert Francis.